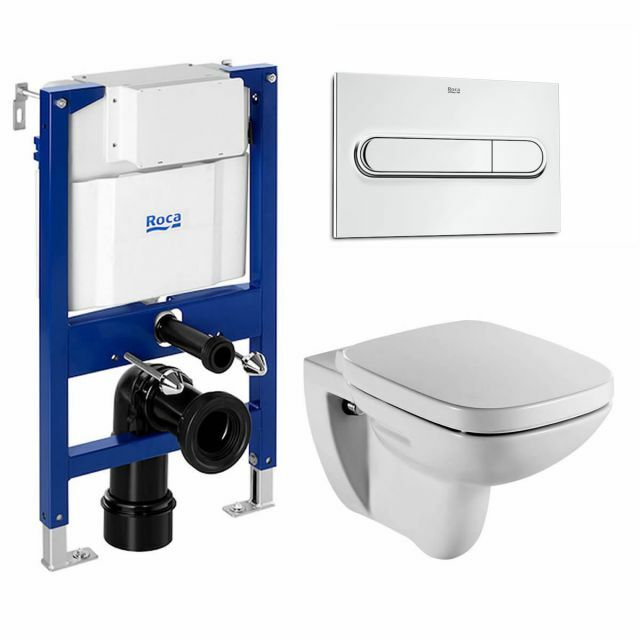 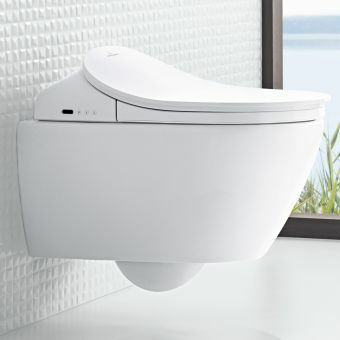 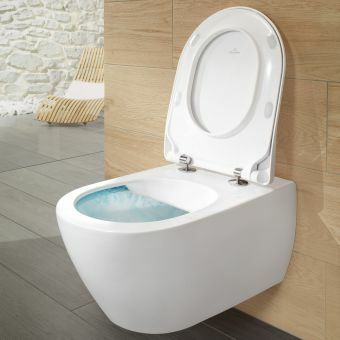 The Roca Debba Wall Hung Rimless Toilet and Frame Package is a time and money saving option that will let you achieve a completely modern design in your bathroom but without the expense normally associated with a wall hung toilets. 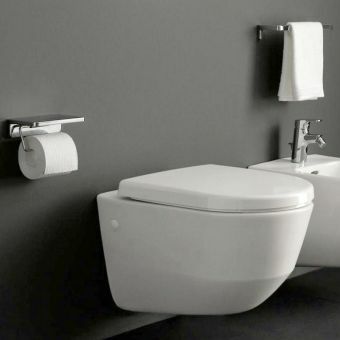 Comprising of the most popular Roca elements, the Debba range has become a firm favourite with architects and developers since its introduction due to its practical, easy clean design that works well in both classic and contemporary bathrooms. 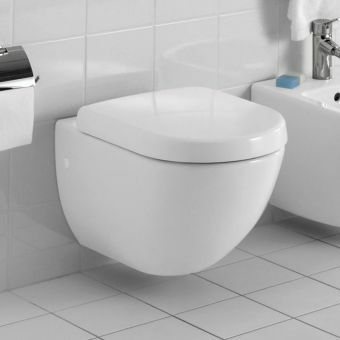 The rimless design is an absolute must-have option in today's modern interior and the absence of a rim means there is nowhere for germs to hide. 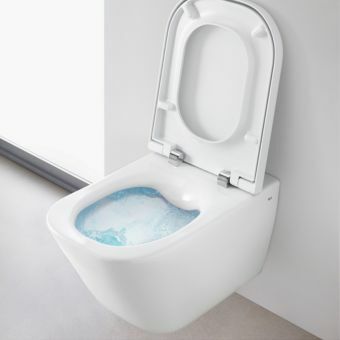 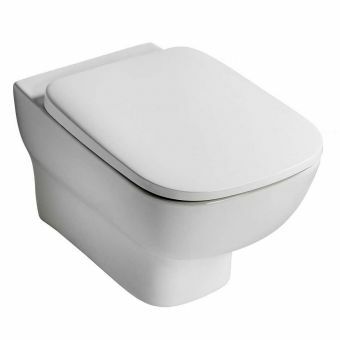 A soft closing toilet seat and cover completes the set lending it a high degree of luxury and practicality. The sturdy Roca 112cm WC frame is perfect for fitting behind a wall or boxed out from your wall with up to 200mm of height adjustment on hand, you will have no problem in fitting it. 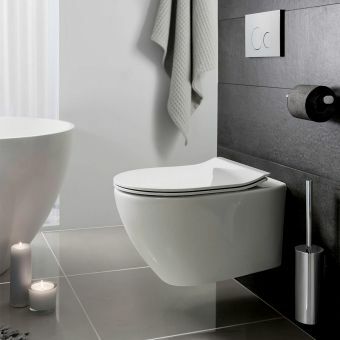 The frame is complimented perfectly by the PL1 chrome flush plate allowing dual flush functionality to save water. 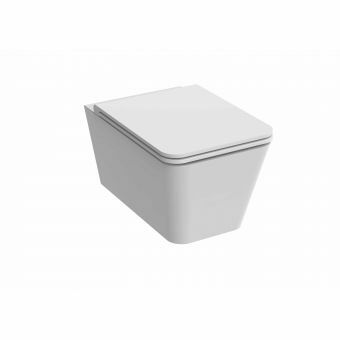 This highly practical pack has been created with flair, style and ingenuity to bring you the best that Roca can offer.